Are you a mature but young-at-heart student, looking for both an exciting vacation and study experience in Latvia? Vacation Club 50+ is designed especially for you! The program challenges you to stay intellectually stimulated by attending 20 Russian language lessons per week in the mornings. 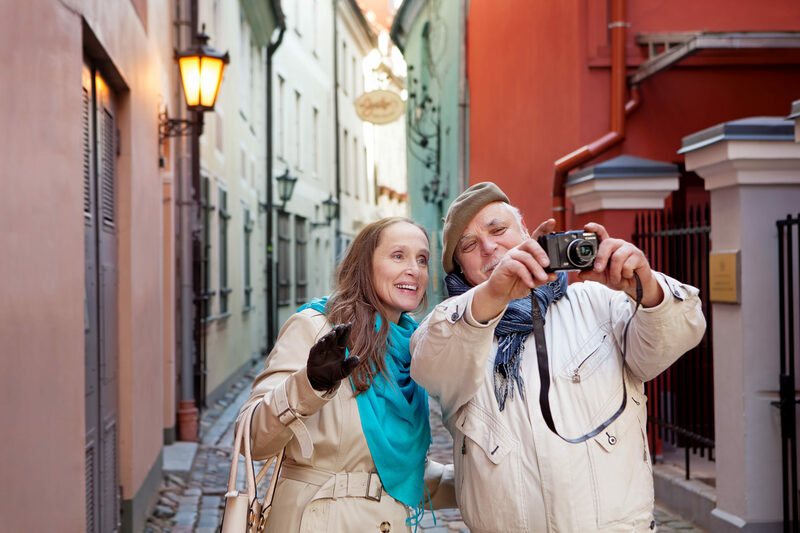 What is more – you will be socially engaged by exploring the most interesting places of Riga during excursions and museum visits. At the same time we have included weekly full-day excursions to the most beautiful places in Latvia, for example, Sigulda – “Switzerland of Latvia” with its picturesque scenery or Jurmala – peaceful seaside resort. We will take you out to the local restaurants, so you will be able to enjoy culinary delights including Russian and Latvian local cuisine and compare a great diversity of eating traditions in Latvia. In other words, you will get an amazing cultural and linguistic experience and improve your Russian language skills. LIDO restaurant: tasting 3 types of beer and various snacks. Ursula, GERMANY: “At the age of 75 it was a great challenge to take part in a Russian language course in Riga and now I think the course was a great success! We had a good team of teachers and school staff and learning was funny indeed! In fact, I can fully recommend it!”. 1 week: March 12*, March 19, May 21*, May 28, July 30*, August 6, September 10*, September 17, December 3* and December 10. 2 weeks: March 12*, May 21*, July 30*, September 10* and December 3*.